Wedding! Wedding! Wedding Time! 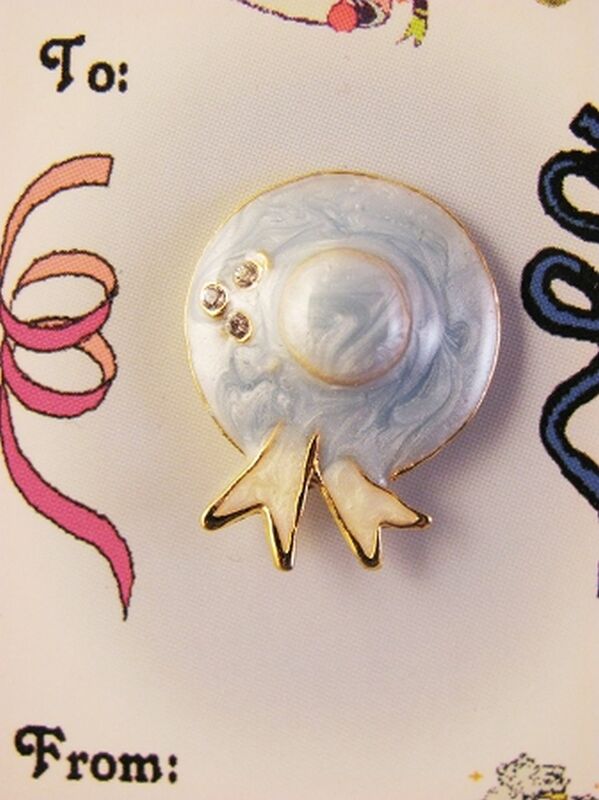 Indulge yourself or a loved one into this absolutely beautiful Blue Pearl Fancy Women Hat Pin, gorgeously-crafted with three small Genuine Austrian Crystals on Gold finish metal base. As shiny as Diamonds, Genuine Austrian Crystals deliver unbeatable sparkling look. The Pin is approximately 1/2" tall. 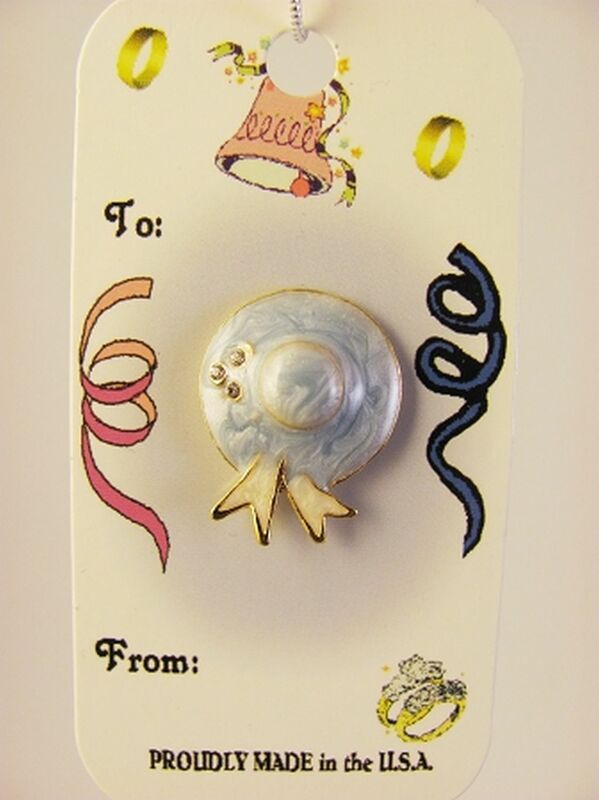 A message on the back of the card board reads "A Special Wish Comes Your Way and You Celebrate Your Wedding Day." Proudly Made in the USA.